I personally can not think of a reason an S2000 would not be in my collection. Other than the NSX, Honda hasn't made many cars that interest me, probably due to my addiction to rear wheel drive and personality. The S2000 is an amazing car and demonstrates it's relationship to the NSX every time I drive it. The front engine, midship, layout makes for an amazing handling car. The F22C1 is a truly impressive engine. It produces a great power figure for being naturally aspirated (240HP rated), but beyond power figure is the way the engine fits with the car and how unbelievably reliable and durable it is. For me, I enjoy a balanced car that does what I want it to do, I can get plenty of speed from my motorcycles. This is my second S2000. The first was a Berlina Black 2004. The car was in good condition, but not quite as good as this one. My initial foray into the world of the S2000 was when I was looking for a good drivers car that could double as my daily driver. The car was a lucky find. I had been looking for one on and off for about four months when on my way into work one morning, I got extremely lucky. As I was passing a Nissan dealership I happened to see a black on black S2000 tucked off to the side of the detailing shop. On the slim chance it was there on trade in I called them when they opened. They confirmed it had just been traded in the night before and had not yet even been detailed for showing. I told them I didn't care if had been detailed and that I wanted to see it as soon as possible. A few hours later, I had a 30k miles, single owner S2000. 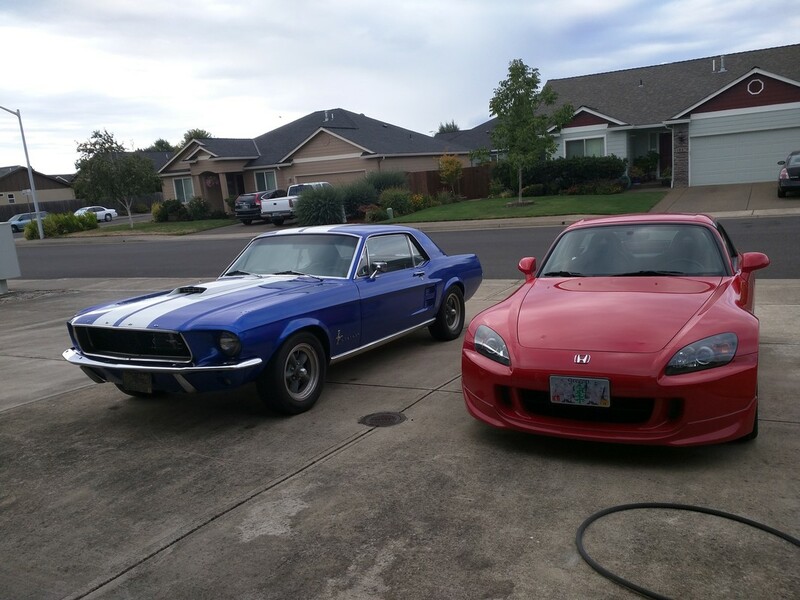 What do you do with a new to you S2000? Take it to autocross of course. It just so happened that just a day or two after I bought the car the local autocross club was holding an event. I showed up, registered, and got in que. I wasn't exactly sure what to expect from the car or even really what class I should be in, so I just ran NFP (Not For Points). My first run, I just relaxed and practiced finding the points I lost traction. Was still quite high on the timing board. The next run I shaved 4 seconds off and moved to within the top 25% of the cars. By the third lap I was besting many of the cars on the board and only really behind prepared cars. More importantly though, I was having a blast. The S2000 had just enough power to throw it sideways when I wanted to, but not so much I was constantly wrestling it for control as I would have to do in my 240Z track car. From that point on, I was hooked. Unfortunately, although I really liked my S2000, I was convinced by an massive media push and my ex to trade it in on a BRZ. The BRZ was to be the "new" S2000. Light, better weight distribution, lower center of gravity, blah blah blah. It wasn't. Two days after getting one of the first BRZs in Oregon I was regretting the decision. The car was far more under powered than the S2000, far less ridged, and so cheaply made that pushing the brakes hard could flex the firewall. The only real improvements of the BRZ were the appearance and smart key. To be fair, it would have been a much better fit for someone who cared that it had back seats or didn't drive their cars as hard as I do. 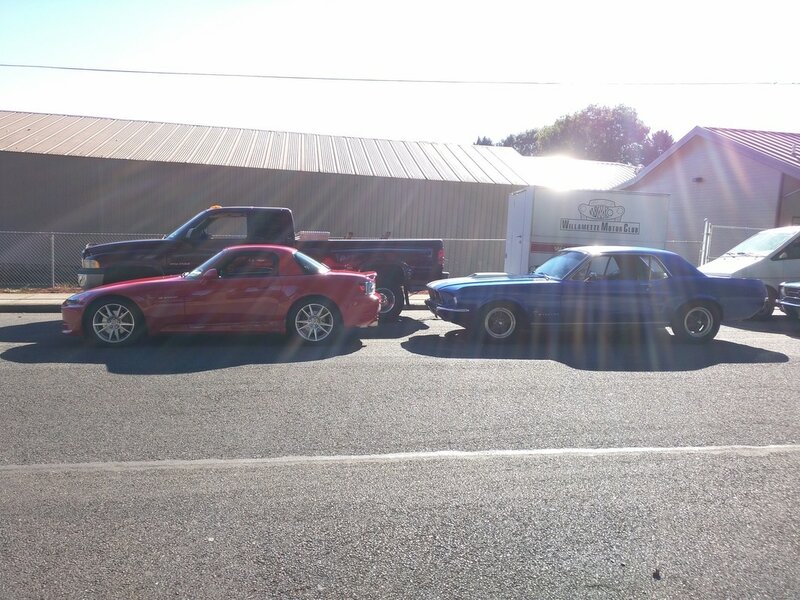 I knew I would need a chance to have an S2000 again, I just wasn't sure when it would fit into the stable. 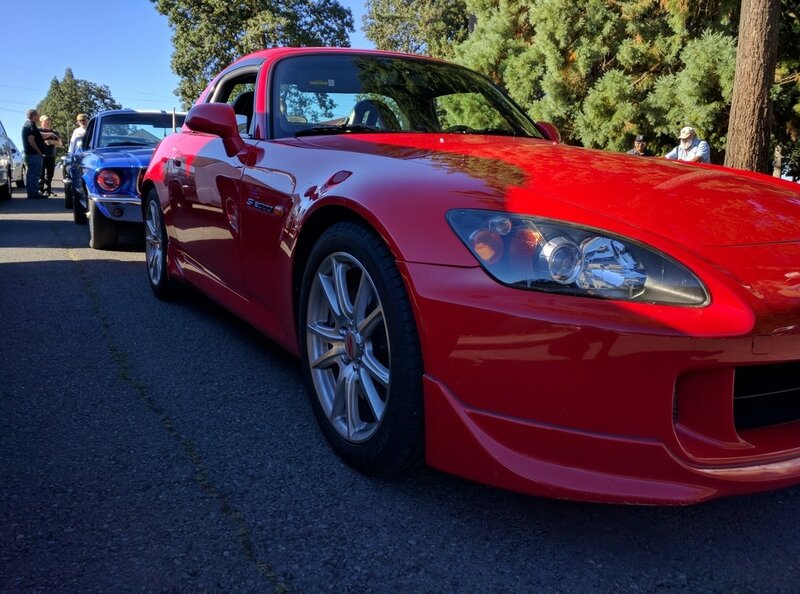 As it happened, when I went out shopping for a "family" car (something with back seats) I stumbled back into the routine of looking for FD3 RX-7s and S2000s. While I did find an RX-7 that I was really interested in, the owner didn't seem interested in selling. He kept delaying meeting and refusing to accommodate my schedule or information requests in any way. While being led in circles with that car I had also looked at several S2000s, none of which even came close to passing my inspections. They were all "ridden hard and put away wet" and not worth the money... even at the discount value a couple were listed. After the final delay on the RX-7 I decided I would likely have to over pay a bit to get the quality of S2000 I was looking for. As if by magic, the clouds parted, the heavens lit up, and craigslist delivered a car worth looking at. It was red, not my favorite color, but it had the black interior, 30k miles (not bad for being 11 years old), came with a color matched optional hard top, and had been owned by a tech at the Acura dealership. Those are some very nice checks on the list. The car was in great shape. The previous owner had even kept all the seals well cared for and moisturized. Even though it was being sold as somewhat of a consignment through the dealership, they were treating it as if it was one of their cars. It had just been inspected, detailed, and came with a one year warranty. Other than a couple small scratches and a small rock chip in the corner of the window, it was excellent... until I took it for the test drive. It had been a few years since I had my black S2000 at this point, but I knew it shouldn't feel like this. The car was darting all over the place, a pathetic shadow of the grip monster I had. To put it to a real test I took it onto the freeway. As I passed 55 MPH, the wind noise became unbearable. I felt as though I was suffering permanent hearing damage and was having a hard time concentrating. Time to go back to the dealership and see what they had to say. I outlined my issues with the salesman and he seemed very confused. No one else had really had issues with it, and he had two people coming back to look at it again while I was there. I told him that I thought it was a tire issue and a seal/mounting issue on the hardtop. After some back and fourth I told him if they took care of the tires I would figure out the hardtop. They agreed to replace the tires and I waved the magic money wand to make the car mine. After all, other than those two issues, the car was in excellent shape and completely original. Even as we were agreeing to them replacing the tires I knew I was going to push them to give me a credit or value match so that I could do different tires than recommended from OEM. I knew I would prefer something Michelins or Continental ExtremeContact DWs and as it just so happens, Tire Rack had a clearance going on DWs in the plus size I was looking for. For those of you tire nerds out there, factory these S2000s came with 215/45-17 in the front and 245/40-17 in the rear. I prefer to run 225/45-17 94W rated tires up front and 255/40-17 94W rated tires in the rear. They fit nicely without clearance issues. I personally feel a slight difference in the ride and how they deal with ruts (slightly more ballooned than stretched), while still having a speed rating far beyond what the car should be capable of. I also like the slightly meatier look. The hardtop made too much noise to think, let alone talk in the car. There are multiple things that can be at play with an issue like this. The top can be out of adjustment at the rear, the front clamps for connecting to the top of the windshield can be incorrect (they had different attachments between hardtop and soft top), or the seals can be slightly dried out. The easiest to check was the adjustment at the rear. Rather than regurgitate the entire process here, basically you want the back of the hardtop pulled down snug, but not too tight, and no unevenly. You don't want the glass to impact the metal surface of the hardtop when the doors close with the top on. For those interested, I saved and attached the S2000 hardtop installation instructions PDF here. For everyone else, it didn't fix my problem. On to the next idea. Rather than take apart the molding and check which type of mounts I had (which would have been the right way to do it), I just ordered new hardtop mounts and figured I would assume they were incorrect. I was wrong. After ordering the parts and dissecting the area above the windshield I noticed the brackets already on the car had the same part number, but I replaced them anyway in case they were bent or somehow out of alignment. Once complete, I went for a drive. The issue remained, on to my last option... making the seals bigger. Obviously I can't just make the seals bigger, and they really didn't look to be in bad shape. Rather than go all out and replace all the seals, I took a small strip of silicone shower seal and placed it on the roof seal before setting the hardtop in place. Problem solved... well problem not a problem until I take the top back off next summer. As loud as the wind noise from the hardtop was, the exhaust and engine was quiet. I want to keep the S2000 relatively stock since it's in such good condition, but intake and exhaust is free power and really improves the driving experience (yes, it's mostly psychosomatic, but I like it). I wanted more sound and deeper tone that I could to help match downshifts by ear, but I didn't want to drive myself or the neighbors crazy. 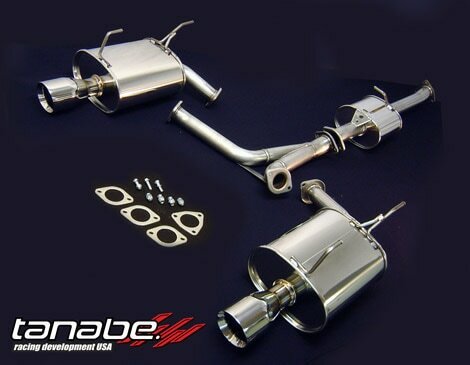 I personally dislike the "hey look at me" exhaust systems. The best match for my goals was the Tanabe Medalion Touring cat back. It's a quality product, it's not overly loud, and it's a modification that is easily reversible (not to mention insanely lighter than the OEM system). The sound improvement from the exhaust was great, but as is the general rule, if I am going to do exhaust, I should look at the intake. In the case of the S2000, intake actually makes a measurable power difference and thanks to its naturally aspirated nature, a great noise to match. There are a lot of intake options out there for this vehicle and they range from dirt cheap to over $1000. My goal was for something more in the middle and with a decent user base. This led me to the K&N kit. 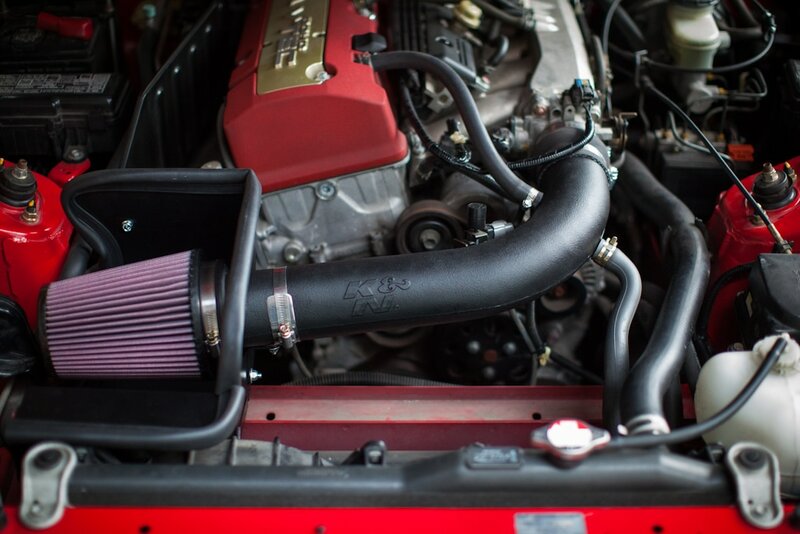 As with any aftermarket unit there are pros and cons, but overall I am pleased with the quality of the intake and it does what an intake is supposed to do. It certainly increased the sound under V-Tech and seems to be a noticeably faster pickup to RPMs. Of course it's hard to tell how much is due to expectation vs reality, but I'll be putting the car on a dyno this year to find out what it is really putting out.